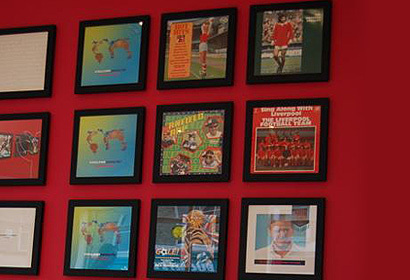 For three decades the world of football was captured on vinyl, albeit through the obligatory national song that would accompany the team on their World Cup campaign. 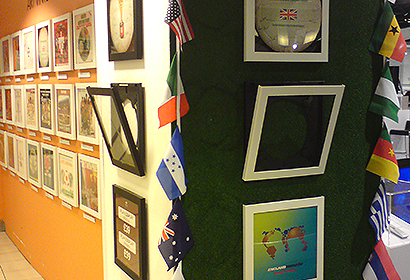 Back in 2008 we created our very own tribute, re-creating our very own England flag from red and white vinyl records on the Art Vinyl Gallery wall, see pictures above. 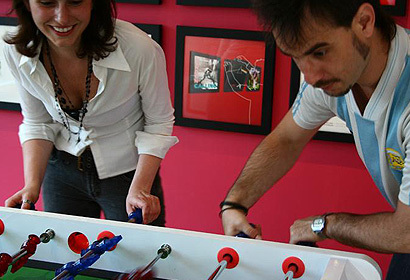 With such an archive of football vinyl, we were also invited to curate an exhibition of world cup records for the famous Oxford Street store Selfridges. 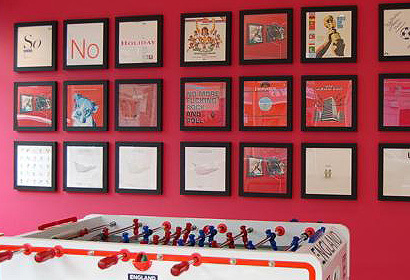 Outside of the classic football records don’t forget such classics as George Best by the Wedding Present which show the great man at his peak.